Body, beauty & long-term health benefits! We’ve got 10 reasons why protein is the macro-nutrient (aka a big category of nutrients like protein, carbs, or fat) that deserves your love this month — and all months moving forward. The Atkins Diet made bacon-lovers rejoice, but not all of us are ravenous carnivores (can’t we all just get along?). But there was definitely something to the trend: Cutting back on carbs and replacing those calories with protein contributes to a decrease in fat tissue. And research suggests that effect is significantly more pronounced in women (who typically have a higher percentage of body fat) than in men1. Perhaps another reason to celebrate the power of cheesecake. Quick! What was your go-to breakfast as a kid? If a basically-candy cereal is the first answer that pops into your head, chances are it’s time to recalibrate the morning routine. 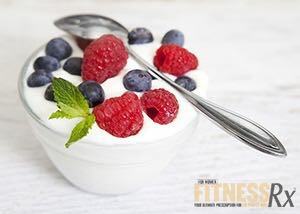 Eating a high-protein meal early in the day — Greek yogurt with fresh fruit, for example — triggers a hormonal response that helps keep hunger at bay all day2. Chow down early to control eating often. Protein’s magic formula for satiety really works in two ways: It controls appetite later on and promotes a greater feeling of fullness than carbs or fat3. Basically, that means a food high in protein takes less to get you feeling full. When compared to a higher-carb diet, higher-protein diets tend to trigger more thermogenesis (say that five times fast)4. Greater thermogenesis is generally what’s referred to when someone talks about a “faster metabolism,” and more protein can signal the body to burn more calories before, during, and after meals. 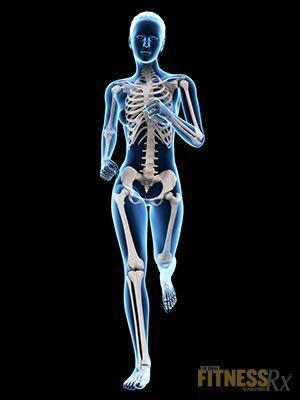 Women are at an especially high risk of bone degeneration. So while protein often gets a bad rep as being bad-for-the-bones, it turns out this macronutrient is actually vital to proper calcium absorption and bone growth5. For the lactose-tolerant, that means dairy gives a great one-two punch of calcium and a full protein, all in one food. Many tasty protein supplements are also high in calcium and great on the go! As we age, our bodies tend to lose muscle mass. Eating more protein — along with regular exercise, including resistance training — can help our bodies maintain and build muscles to keep us going strong well into the golden years6. Make sure to grab a protein shake or other high-protein snack post-workout to promote muscle repair! When we get stressed, all sorts of things go haywire on the inside: oxidative damage wreaks havoc on cells as our internal systems struggle to contain hormone influxes. But a diet high in protein — think between 0.8 and 1 grams of protein per pound of body weight, up to 50% over the “normal” recommendations for sedentary folks — can act as a buffer against this damage7. All systems go for protein! Our skin takes a beating 24/7, and it’s especially under siege when the sun’s shining bright. UV damage takes a toll on our birthday suits and is a leading contributor to skin’s aging. Diets high in certain amino acids — the building blocks of protein — can help reduce the aging effect of outside elements like UV light (along with a quality sunscreen, of course)8. And BCAA (branched-chain amino acids) supplements can be an especially potent way to get those aminos conveniently. 9. It’s Also Great for Your Hair! In order to keep growing to its fullest, hair needs a well-balanced diet — including lots of protein9. Experiencing slowed or no hair growth? Stress and/or a protein deficiency could be to blame. 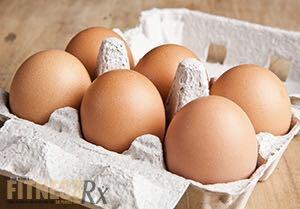 Want to fit more protein into your diet? Check out the Healthy Protein Pack by the folks over at PrettyFit. It’s a box filled with no-hassle high-protein snacks, drinks, and even pancakes (!) perfect for busy, active women. Use the code “FITRX5” for $5 off today!